This card is loaded with benefits including a $200 airline fee credit, Delta SkyClub access, Centurion Lounge access, Priority Pass Select membership, 10 Gogo inflight internet passes, Global Entry and much more. See More Business card offers here. 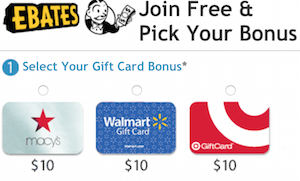 Get one Membership Rewards point for each dollar on eligible purchases you make. 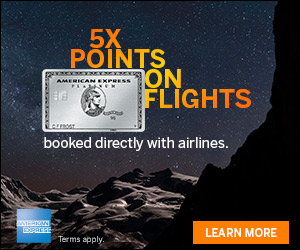 Plus, see how to earn 2x points when you book online with Amex Travel. 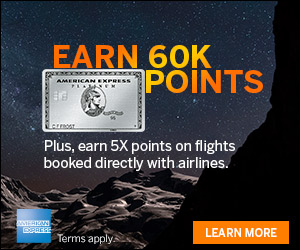 30% Airline Bonus: Use Membership Rewards Pay with Points for all or part of a flight with your selected qualifying airline, and you can [receive/get] 30% of the points back. $200 Airline Fee Credit: Select a qualifying airline to get started. Then receive up to $200 in statement credits per calendar year when incidental fees, such as checked bags and in – flight refreshments, are charged by the airline to your Business Platinum Card Account. Receive a statement credit every 5 years after you apply for Global Entry ($100) or TSA Pre✔ ($85) with an eligible Card. If approved, you can get expedited screening at select airports. If approved for Global Entry, at no additional charge, you will receive access to TSA Pre✔. The Business Platinum Card comes with complimentary airport lounge access to The Centurion Lounges, Delta Sky Clubs, and Airspace Lounges and you can enroll in Priority Pass Select at no additional cost. These programs provide you access to over 700 domestic and international airport lounges. Enjoy complimentary internet access. Enroll your Card with Gogo and Boingo and get 10 Gogo inflight internet passes annually and unlimited Wi-Fi at Boingo hotspots. Enjoy complimentary benefits and competitive rates with each FINE HOTELS & RESORTS booking at over 815 extraordinary properties worldwide. Concierge: The Concierge staff is available to you day or night as a personal resource for many different aspects of your life. Whether you need to select a restaurant and arrange the details of an upcoming special event or if you want expert advice selecting just the right gift, you can rely on Concierge to coordinate and take care of your requests, big and small. Business-sized spending power, that evolves with your business. Business Platinum Card Membership comes with an annual fee of $450. Regardless of where you are or what you pay for with the Business Platinum Card, there are no foreign transaction fees from American Express. If you’re looking for a business credit card, the American Express Business Platinum Card is loaded with a bunch of perks and has a great sign-up offer, making it a great card to get. Unlike personal cards from American Express, this sign-up bonus is valid to anyone as long as you haven’t had this card in the past 12 months. For those considering this card, there is also the The Platinum Card® from American Express, which is the personal card and offers similar benefits, though you do not receive the 10 free Gogo passes, making the business version a better option in my opinion.